Samples of mini organs are shown at the Hubrecht Institute in Utrecht, Netherlands. Cystic fibrosis patient Els van der Heijden was finding it ever harder to breathe as her lungs filled with thick, sticky mucus. Despite taking more than a dozen pills and inhalers a day, the 53-year-old had to stop working and scale back doing the thing she loved best, horseback riding. Instead, they scraped a few cells from van der Heijden and used them to grow a mini version of her large intestine in a petri dish. When van der Heijden's "mini-gut" responded to treatment, doctors knew it would help her too. "I really felt, physically, like a different person," van der Heijden said after taking a drug—and getting back in the saddle. 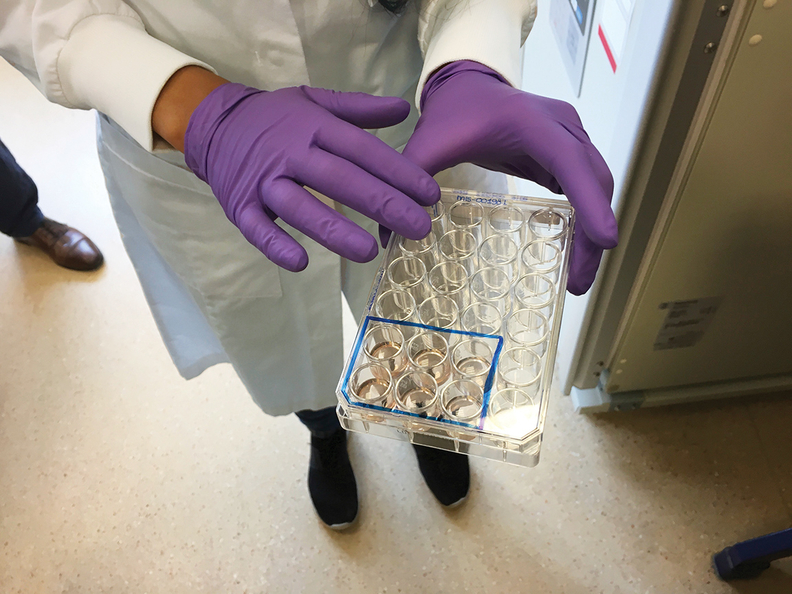 This experiment to help people with rare forms of cystic fibrosis in the Netherlands aims to grow mini-intestines for every Dutch patient with the disease to figure out, in part, which treatments might work for them. It's an early application of a technique now being worked on in labs all over the world, as researchers learn to grow organs outside of the body for treatment—and maybe someday for transplants. So far, doctors have grown mini-guts—just the size of a pencil point—for 450 of the Netherlands' roughly 1,500 cystic fibrosis patients.